As far as cloud storage is concerned, users have the possibility to choose from a plethora of services available. 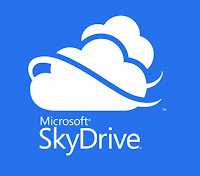 Despite the fact that individuals generally opt for Dropbox, iCloud, and Amazon Cloud Drive, note that Microsoft SkyDrive is also a great alternative, since it provides more free storage space, as well as larger device support in comparison with the options mentioned above. Therefore, you should totally consider this app, which is a cloud storage service that can be used for Windows phones, and it ensures total integration with Microsoft Office. 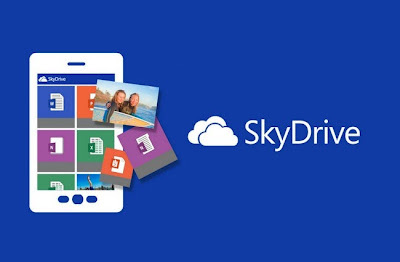 Apart from the fact that it supports personal software and devices, SkyDrive features cross-platform support that is compatible with iPad, iPhone, and Android gadgets, so that those who don’t wish to utilize Box or iCloud can choose a different option. If you’re a Microsoft user, or if you simply need more cloud storage, you should totally take advantage of this integration, so take a look at the following characteristics of SkyDrive in order to determine whether it’s a good solution for you or not. In order to start using Windows SkyDrive, you need a Microsoft account, or register with the account you already have. In case you utilize Messenger, Xbox LIVE, a PC that features Windows 8, Hotmail, Windows Phone, or Outlook.com, it means that you have an account and you’re free to employ the data to initiate your SkyDrive experience. On the other hand, if you have to make an account, you need fundamental data, a username, as well as a password. The Microsoft account offers you access to various services found in the Windows environment, just like the Apple ID does for iOS. So, after you’ve made your account, you can utilize the data to register from whatever device you want and access videos, documents, and photos. All you need is an internet connection. 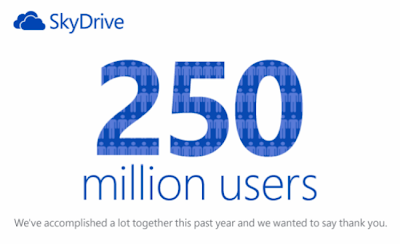 Besides, you can configure the gadgets that feature SkyDrive so that they routinely back up your data to the cloud. Therefore, in case you add a new picture to the picture library, it will be present in SkyDrive so that you have access to it whenever you want. After you’ve made a Windows account, you can install the SkyDrive app on whatever device you wish, such as your tablet, mobile phone, or laptop, and note that the app works on iOS, Android, and Windows operating systems. In order to synch a folder that contains videos to your SkyDrive, all you have to do is locate the folder, right click, and select SkyDrive. Starting from that moment, all videos that you store in the folder will be included in the cloud, and everything you take away will be deleted. It might take you a while to upload videos, so you have to be tolerant. SkyDrive offers media playback in the app you’re utilizing in order to access your files. Hence, there’s no need for you to download the video files when you wish to watch them, because they will be fast and effortlessly accessible, no matter where you are. Plus, when it comes to playback, Microsoft utilizes a proprietary player referred to as Silverlight; therefore, you will have to download the web app if you’re facing difficulties with playback. It is advisable to use the main browser featured by your operating system when you make use of Silverlight. For instance, iOS users should go for Safari, whereas Windows users should choose Internet Explorer. Furthermore, SkyDrive supports playback for .wmv, .m4v, .mp4, and .mov video files, so you don’t have to adjust formats to make use of the app. However, you should compress the video files prior to uploading them to the web, and you can opt for free video compression software such as MPEG Streamclip so that you can reduce the size of the files. All in all, keep in mind that SkyDrive is an excellent cloud storage service that you should totally work with if you need more space on the cloud, and you’re searching for integration between gadgets. SkyDrive includes great features, such as Windows Phone support, so all devoted Windows users should certainly go for this useful cloud system.